Spanning a lengthy career defined by consistent album after consistent album. Saves the Day return to the pop-punk podium, after a long departure, with their latest offering, "Daybreak". Coming off of the wave of 2007's angst ridden "Under the Boards", "Daybreak" offers a 4 year overdue optimism to counter this. 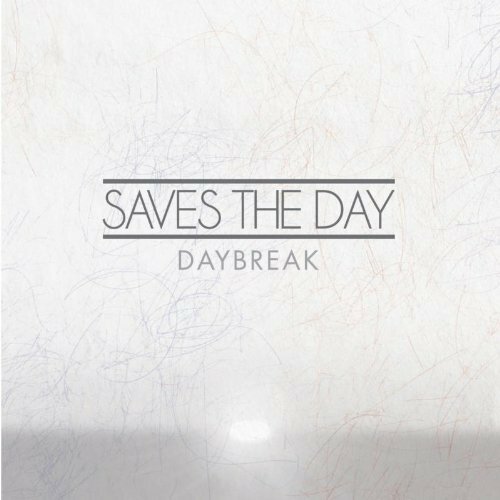 Bordering near a stellar 11 minutes, title-track, "Daybreak" defines each stage of Saves the Day's lengthy career. The opening guitar of "Somehow you love me" shadows prior efforts such as; "In Reverie" and "Under the Boards", whilst the second segment of "Daybreak", "Fucked up past the point of fixing", features more of the angst that you'd find unleashed on "Sound the Alarm" and "Through Being Cool". All of this of course, sandwiched into a five part introduction that would be rightful of it's own EP. 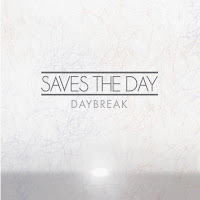 For fans of Saves the Day, there are many references to their prior material on "Daybreak". "Let it All Go" would easily fit in between the track listing of 2001's staple "Stay What You Are" as it is reminiscent of the same throwback pop style found on that album. Whilst some songs show progression, like the Latin sounding "Chameleon", sound a bit more experimental but still clutch onto the Saves the Day aesthetic. Chris Conley's lyrics on this album still remain to be persistent. Not trying to push any barriers by being too complex or intricate as shown on "1984", where Conley's voice overpowers the rest of the band as he shouts "Yeah yeah yeah. I need you, I need your love." "Undress Me" concludes the album on a melancholic note. Conley's voices croons over a scathing guitar leaving all this unrest felt throughout the album, resolved. When "Under the Boards" came out in 2007, Conley likened it to the second Star Wars film "The Empire Strikes Back" due to its darker themes and nature, "Daybreak" mirrors the themes of redemption and clarity found in the sequel, "Return Of The Jedi". Showcasing each of the bands sounds, "Daybreak" truly feels like an anthology. "Daybreak" is out September 13th through Razor & Tie Records.